Join other Nordics for a scenic hike on the Scuppernong Trails in the Southern Kettle Moraine State Forest on Saturday, April 27. 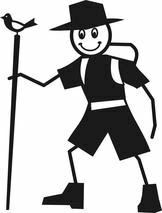 The hike will begin at noon from the Scuppernong Trails parking lot and we will hike the green trail loop that is about 5 ½ miles to 6 miles in length. After the hike we will stop somewhere for refreshments. The Scuppernong Trails parking lot is located north of Eagle. Take I-94 West to HWY 67 South to Co. Hwy ZZ south of Dousman. Turn left (East) and go ½ mile to the parking lot on the north side of ZZ. Call Mike Craig at 414-552-5011 if you have any questions or to let him know you are coming.